If you are attempting to trek the Everest Three High Passes, it is obvious that you have done some trekking around the mountains once or a few times. You are drawn to the high altitude and it’s definitely the Himalayan range calling you again and again. The Everest Three High passes are listed among the highest trekking passes of the world. 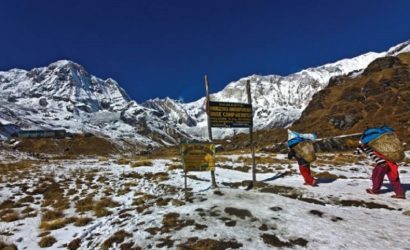 It is called so, as you will cross through three high passes in the Everest region – Kongma La Pass (5,535 m), Cho La Pass (5,420 m) and Renjo La Pass (5,340 m). Other highlights of this trek is reaching to the foot of Everest Base Camp; climbing up to Gokyo Ri (5,357m), Kala Patthar (5,545 m) and Chhukung Ri (5,546 m); passing through Namche Bazaar (Highest marketplace in the world); and exploring the remote and untouched Nangpa La Valley, the Sherpa village of Marlung and the monastery village of Thame. The trekking route takes you to places which are at the altitudes above 5,000+ meters. Yes, it is challenging and there are cases of altitude sickness recorded here. So taking precautions and researching more on the trek to the higher altitude is suggested. If you ignore the basics, altitude sickness can be problematic even though you are healthy and fit. You should acclimatize well and get through the trek. 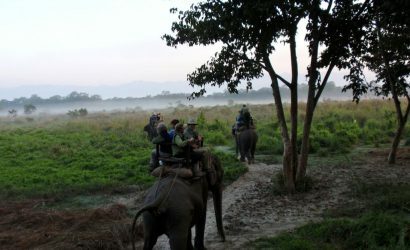 The first day of your journey to the mountains starts from your arrival at the airport in Kathmandu. Our representatives will be there to receive you at the airport who will arrange all the necessary things from receiving you to transferring you to your hotel. If you reach early and decide to explore the historic places and visit UNESCO World Heritage Sites, we can arrange that too. If not, you can rest for the day and prepare for the trekking. A 30 to 40 minutes domestic flight from Kathmandu will take you to this heavenly place close to the mountain and hills, Lukla. You will get an amazing view of the Himalayan range from your flight. After arrival to Lukla, you will start to trek on foot towards Phakding. You will have to walk around 3 to 4 hours to reach Phakding. You can rest for the remaining of the day by exploring the surroundings. You will then stay overnight at Phakding. After your breakfast, you will start today's strenuous journey up to Namche Bazaar through a beautiful pine forest. The trekking route is along the Dudh Koshi River, and across many suspension bridges. You will be walking through beautiful villages like Toktok, Benkar, Chumoa, Monjo, and Jorsalle. After Monjo, the trekking journey is inside the Sagarmatha National Park, known as Khumbu region or Everest region. Your entry will be registered at that point and then you will proceed further. You will get an amazing view of Mount Thamserku (6,618 m) along the way until you reach Namche Bazaar (i.e.after 5 to 6 hours of trekking). 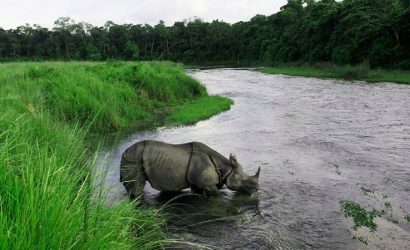 You will then stay overnight in a warm and cozy guest house or lodge. After a good night's sleep get ready to explore the beautiful Namche Bazaar as today is your acclimatization day or rest day. Acclimatizing is very important in order to prevent altitude sickness. You won’t be resting or sleeping, you will rather be involved in shorter treks to nearby villages. You can explore and hike around the Sherpa village and museum and do a lot of other activities. You can also visit Khumjung Monastery and famous Hillary School opened in the name of one of the first climbers of the Mount Everest, Sir Edmund Hillary. The Tourist Visitor Center near the headquarter of the Sagarmatha National Park is another place to go. Here you can observe an assortment of things related to the first Everest ascenders, learn about the Sherpa culture and explore the various plants and animal life in the Everest region. Namche Bazaar is most happening place in this region. There are a lot of places to stay, restaurants and bars, cyber cafe, boutiques, souvenir shops and groceries. Enjoy your rest day and one more night here. After proper acclimatization, you will start your trek to Phunki Thanga. 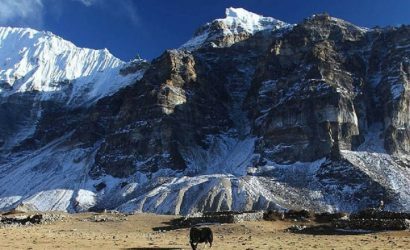 Today's journey is yet another historical mark for your trekking as you will be ascending to the Tengboche village which is famous for the largest monastery in the Everest region. You will visit the monastery and explore the rituals, culture, and traditions of Tibetan culture amongst the Sherpa tribe. The monastery gates open at 4 pm so you have to target your hike accordingly. You will be able to view the incredible panoramic view of the mountain peaks such as Mount Everest, Ama Dablam, Thamserku, Nuptse, and Lhotse. You will stay overnight in Tengboche. After warm breakfast in Tengboche, you will then start your trek, descending through a lush rhododendron, conifers and birch forest. The trail passes through a place called Debubhe and then you will cross the Imja River to reach Pangboche. Walking along the path with the superb view of Mt. 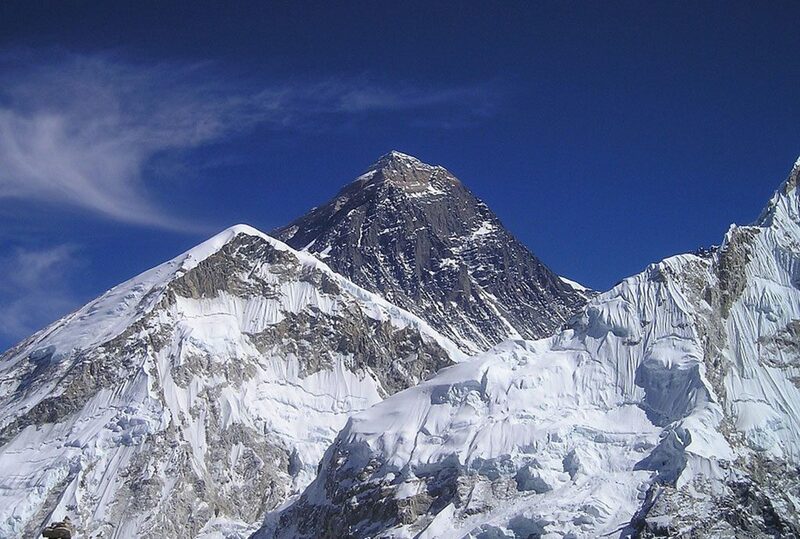 Everest, Lhotse and Ama Dablam will make you feel closer to the mountains. The picturesque mountain ranges and visit the Pangboche Monastery is refreshing. 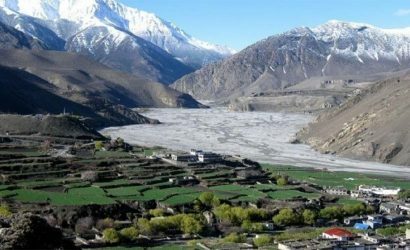 You will soon pass through Imja Valley, Lobuche river and finally trek to Dingboche. Dingboche is a beautiful settlement and the chortens and prayer flags add in to the beauty of the place. You will stay here for the night and acclimatize the next day. This is your second day for acclimatization in the Everest region. Do not skip the acclimatization day and regret later. Skipping acclimatization results in high altitude mountain sickness. Dingboche is a beautiful village with an array of fields of barley, buckwheat, and potatoes. If you want some more adventure, you can go for a hike up to Nagarjan Hill where you will get the spectacular views of mountain peaks such as Makalu, Lhotse, Chalotse, Tawache, Ama Dablam and other peaks. The second day rest at Dingboche and preparation for the early morning trekking tomorrow. After breakfast, you will be trekking through the fields and Imja Khola valley towards the mountains. The route takes you to Bibre valley where you can enjoy the magnificent view of Ama Dablam and Amphu Labtsa mountain range. You will notice a lot if icy streams on the way and after walking for a while you will reach Chhukung. You will then have your lunch at Chhukung and hike up towards Chukung Ri. The breathtaking views of the Himalayan range will make up for the strains and pains. Head back towards Chhukung where you will be spending the rest of the night resting. Today's trek will take you to one of the highest passes in the entire Everest region, Kongma La Pass. The top of the pass is marked by chortens and Buddhist prayer flags. There are two different routes in today's trek. You can either take a trail over a hill at the northwest of Chhukung over Nuptse Glacier moraines or walk back to Bibre and trek on the trail above the Niyang Khola. Your guide will provide enough information and you can decide it on the same day. 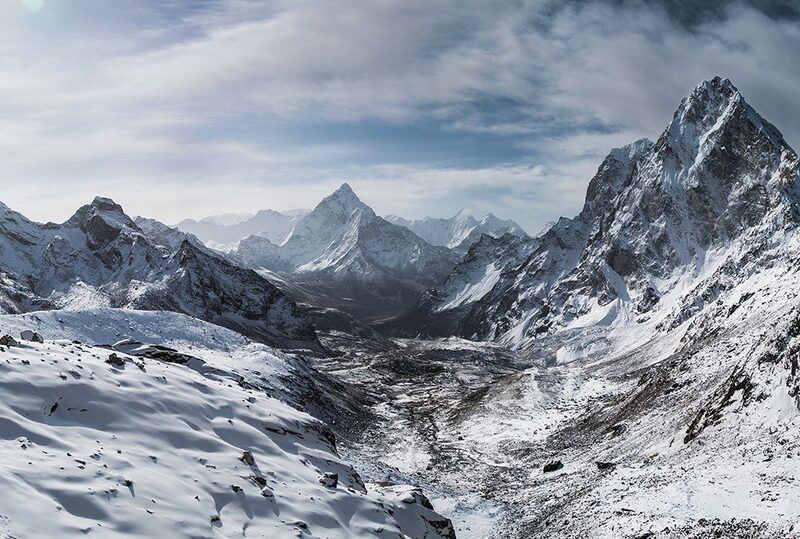 After reaching the pass you will then descend through a difficult terrain towards Lobuche. After crossing the Khumbu glacier you will reach to Lobuche and rest overnight here. Today is yet another historical day of your trek as you will be reaching to Everest Base Camp today. 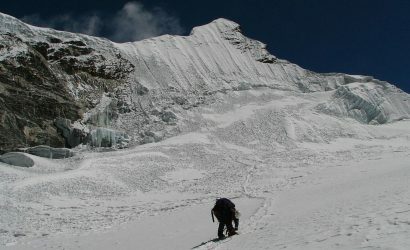 The trek will start along the lateral moraine of the Khumbu glacier. You will get the view of the Mount Everest, Pumori, Mahalangur, Lingtern, Khumbutse, Nuptse and other mountains on the way. After a short ascend you will reach Thangma Riju from where you will be able to capture panoramic views of the whole Himalayan range. Then you will climb down the top of Changri glacier and finally reach Gorak Shep. The journey then will take you up towards the Everest Base Camp where you can rest for a while and enjoy the view and take photographs. Enjoy your time there and then you will have to head back to Gorak Shep for the night. One of the main attraction points of the Everest Base Camp trekking is trekking to Kala Patthar for the picturesque 360 degrees panoramic view of the mountain range. Today, you will be starting your journey pretty early in the morning so that you can view the sunrise on Mount Everest. The view may differ in accord to the season you are trekking in. 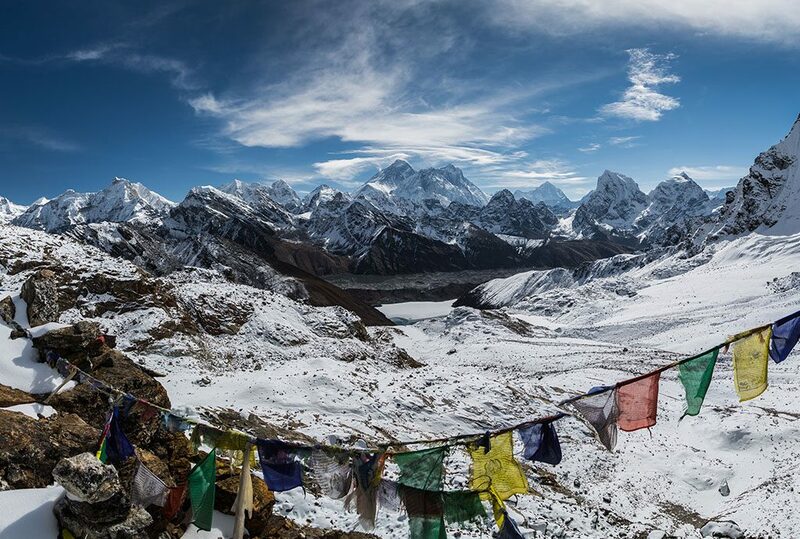 October is a great month to enjoy the view at Kala Patthar. After trekking for some hours you will reach Kala Patthar. Here, you will feel closest to the mountains and it is absolutely heavenly. 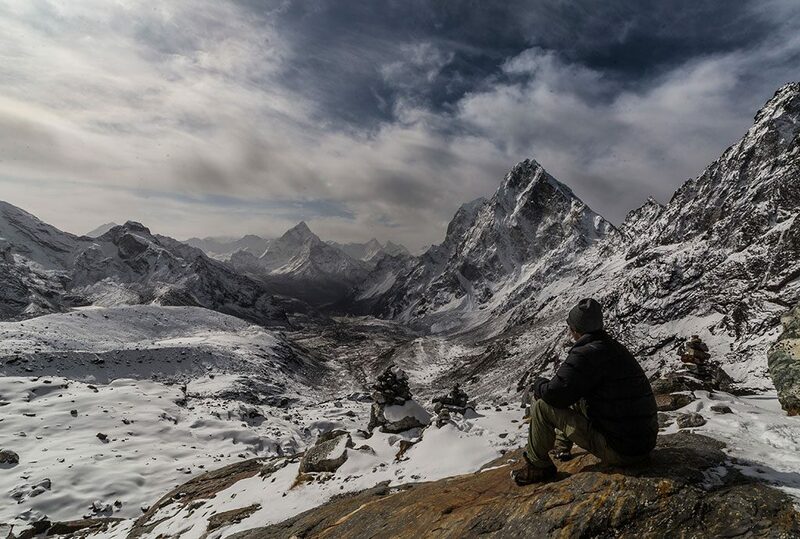 Take your time and enjoy the view for a while then head back to Lobuche. You will stay overnight here. It's time to head back from Lobuche to Dzongla. 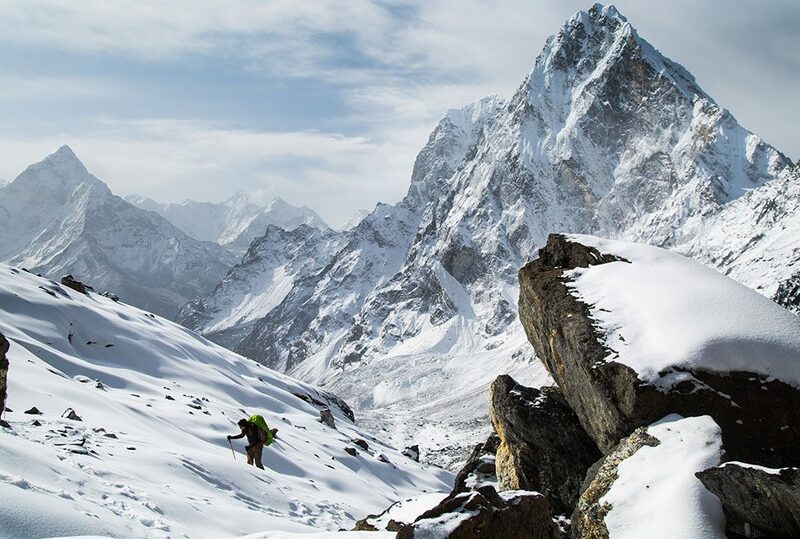 After breakfast, you will trek downhill along Khumbu glacier. The view of Awi Peak and the stupa at the distance is beautiful and refreshing. After a while, you will then ascend unless you will see the Chola Tsho Lake. The journey continues till you cross the Chola Khola bridge. This will take you to Dzongla. This is your stop for the night. The second high pass Cho La Pass will be today's challenge. You will ascend slowly towards Cho La lake. The terrain is a bit off, with rocks, boulders and a steep uphill climb. Finally, you will reach the top of the pass which is marked by chortens and Buddhist prayer flag. The view from here is stunning and since you crossed the top of the pass you will be heading down towards Thangnak. You will reach the edge of the Ngozumpa glacier, the longest glacier in Nepal. After the glacier, view of the series of six lakes is nostalgic. You will finally reach the Gokyo Village where you will rest for the night. You will rest for a day in Gokyo and explore the place today. Do not miss to climb up Gokyo Ri for a spectacular view of the mountain range. You can also visit the Gokyo lakes. Some of the mountain peaks you will enjoy from this point are Cho-Oyu, Gyachung Kang, Everest, Lhotse, Nuptse, Makulu mountains and the huge Ngozumpa Glacier. You will return to Gokyo for the night. After breakfast, you will head towards the third pass of the trek, Renjo La Pass. You will trek along Dudh Pokhari Lake for a while. After a couple of hours walk, you will reach the Renjo La pass. The mountain views from Renjo La Pass is quite similar to Gokyo Ri and Gokyo lakes. The view of Mount Everest though is awesome from the top of the pass. After crossing the pass, you will descend through a series of stone stairs to reach the south bank of Angladumba Tsho Lake. It is quite difficult when it snows. You will pass a series of lakes on your way down to Lumde. After an hour's walk or so you will reach Marlung on the eastern bank of the Bhote Koshi River. We will rest at Marlung overnight. After breakfast, you will begin your trek downhill to Thame. This trekking route has been used by Tibetan traders for centuries. You will cross the Bhote Koshi River and climb down Taranga and then descend to Thame. Thame is a beautiful place and is famous for a Tibetan Gompa (monastery) on the west side of the hill. You will descend till you reach Namche Bazaar. You will stay overnight here. You will descend today. The route is all same as your first day. Take your time and walk down on a normal pace and treasure every moment you had in this trek. You will enjoy your walk through the rhododendron and pine forests. Enjoy the last day of your trek and mountain. The culturally rich Sherpa village and people and their warm, familiar gestures and hospitality is overwhelming. You will finally reach Lukla. Here you will rest and take time to enjoy your accomplishment. Most of the flights from Lukla to Kathmandu are usually scheduled in the morning as the weather is clearer at that time. You will again experience an adventurous and exciting mountain flight to the capital. The flight usually takes about 30 to 40 minutes. If the weather is not clear, you might have to wait for sometime or days. You will have a lot of free time when you reach Kathmandu. You can also get around the city and discover new places in the city. Your trekking journey to Everest Three High Passes Trek ends today. You will now be taken to the airport for your flight back home. If you haven't gotten enough of the mountain experience or want some more adventurous journey, we can arrange it for you. If you have decided to head back home, one of our representatives will take you to the airport. You are advised to reach the airport at least 2 to 3 hours before your scheduled flight time. Please do not hesitate to contact us for any further queries regarding the trek or any other information regarding the same.